Yesterday I read a comment about this year's fiction and memoirs, suggesting that the period of "dog stories" was coming to an end. But later in the day I heard someone talking about how the latest dog "memoir" was encouraging too many people to purchase yellow Labrador puppies too quickly, and, horrifically, the animal shelters are getting ready for the deluge of rejected animals. 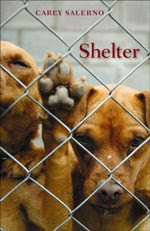 So the title and cover of Carey Salerno's new collection of poems from Alice James Books, SHELTER -- illustrated by a poignant color photo of two your dogs peering through a kennel fence -- gave me some warning of what might lie within. But this is a powerful collection, and the warning wasn't strong enough. There should be something like a Surgeon General label on the book: "These poems may produce tears, an upset stomach, and an abiding sense of horror and grief." I try to be careful about conflating the author and the poetic speaker; they're not always one person. But I kept turning to the author photo on the back of the book, with its winter-garbed, dark-eyed young woman (Salerno, who lived in Boston when the book came out, has moved to Maine and is also now acting director of Alice James Books), and wondering: Did she do the things she's writing about? Did she euthanize hundreds of animals? Grow numb at the whimpers and cries and mounds of stiffening bodies? Bear guilt for moments of rejection and even torture of some of the animals whose dying bodies and wounded reactions all piled up in her thoughts, dreams, shames? ing to work for minimum wage can kill. The titles lay out the landscape: "Burnout"; "Communion"; "Asylum." Even "A Business of Killing." If Salerno hasn't walked this terrain herself, she must have mapped it with anguish for someone else. The spare couplets, the cascading forceful images, remind me particularly of Maxine Kumin's work when the New Hampshire poet is writing about horses, especially the Kumin poem "Jack." I wanted to run to an animal shelter and adopt a creature, quickly, to stem the tide of bodies. But there is no stemming a tide, is there? In fierce evocative poems, SHELTER makes that clear. And it is our hearts, as well as the hearts of the lost loved dogs, the early-born kittens, the scrambling puppies, that are stabbed. NOTE: Salerno will read with Anne Marie Macari at the Collected Poets Series in Shelburne Falls, Mass., in April. The finalists for the National Book Critics Circle Award were announced yesterday. Here are the poetry candidates -- hurrah! March 12 is the date for the winning book to be announced. So today's challenge is, let's read all five of them before that date, and see whether our taste and judgment matches those of the judging team. Hmm. The Robert Hull Fleming Museum invites you to the opening reception of their spring semester exhibits. Cash bar and free hors d'oeuvres. 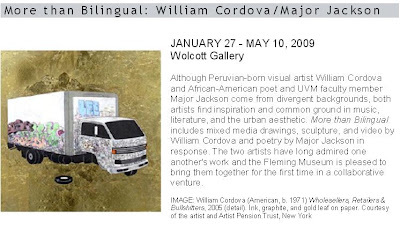 Although Peruvian-born visual artist William Cordova and African-American poet Major Jackson come from divergent backgrounds, both artists find inspiration and common ground in music, literature and the urban aesthetic. The fluency with which they navigate cultural signifiers and media, results in a shared visual multilingualism. The two artists have long admired one another’s work; the Fleming Museum is pleased to bring them together in a collaborative venture for the first time. We heard about this at the last minute -- so if the inauguration has you longing for an evening of poetry, here it is! Co-sponsored with the English Department and funded in part by the James and Mary Buckham Fund. Matt Miller is the author of Cameo Diner: Poems (2005). He earned a BA in Psychology at Yale University, where he also played varsity football, and his MFA in Creative Writing from Emerson College. He is a former Wallace Stegner Fellow in Poetry at Stanford University. Currently, he is an instructor of English and football coach at Philips Exeter Academy. He has published work in Connecticut Review, PN Review, DMQ Review, Third Coast, Beacon Street Review, and Entelechy International. When master of mystery Michael Connelly tackles the classic tales of Edgar Allan Poe, you know the collection will be good -- and IN THE SHADOW OF THE MASTER contains familiar gems like "The Cask of Amontillado," "The Tell-Tale Heart," and "The Pit and the Pendulum." But with the addition of essays by Jeffery Deaver, Nelson DeMille, Tess Gerritson, Sue Grafton, Stephen King, and more, the volume becomes extraordinary. "Mom, why do we have Poe?" I asked her as a sixth-grader. "He understood the guilty conscience. Read 'The Tell-Tale Heart' and you'll see what I mean." Dave brought back a copy the other day so that Kingdom Books could offer this lush, moody collection with its dark illustrations. With signatures from Connelly and four other authors, it's quite a treasure. Dave gave me the British first edition of John Le Carré's 2008 book, A MOST WANTED MAN -- and the copy he gave me was signed. To me, that's love. And awesome. And the only drawback to owning it is that I had to be really, really careful while reading it, to keep it in pristine condition. That was a challenge: holding it carefully, while being swept away by the characters and plot. If you're an avid Le Carré reader, as I am, chances are you prefer his George Smiley novels. Classic Cold War espionage elevated by the deep compassion and grief with which Smiley sees the losses around him (of humans and of decency), they sit on my shelf in well-worn paperbacks so that I don't have to miss a minute when I'm re-reading one. So the hardest part of reading, say, THE CONSTANT GARDENER, which has none of the Smiley characters in it at all, is separating from expectations. Second hardest for many reviewers has been the strong anti-American sentiments that Le Carré exposes in his later novels. So I opened this book hesitantly, wondering how it would hold up, as another non-Smiley political thriller. And what a relief -- the first few pages strike the same note of middle European fear and tragedy that wrenches Smiley's sense of obligation in the earlier books. In the unkempt and genial person of Turk expatriate Big Melik, and the tortured body and frail mind of the half Chechen Issa, a classic Le Carré is already unfolding. Whether Le Carré can build his female protagonist as powerfully, though, is something I questioned as he introduced the German civil rights lawyer Annabel into the plot. It's especially hard to decide this while being aware of this author's mixed presentations of Germans in earlier books: some of them as passionate as Smiley himself, but others more obsessed with upholding rules and being right. So I think Annabel's characterization, caught in this ambivalence, never quite reaches the strength that would cause me to bond with her. Tommy Brue, on the other hand, the British banker stranded in Germany with the remains of his father's business and the skeletons of his father's unexpected hidden life, comes through vividly. And as Brue and Issa become inextricably entangled in the politics of the Great Powers, that sense of devotion and affiliation blossoms. Yes, there's an anti-American bias to the book -- or, more precisely, a bias against some kinds of American political machinations. That, in turn, means the finale of the book will feel suitable, if bitter, to American readers who are centrists or have left of center views; I don't think it's going to work, though, for anyone who sees the George W. Bush presidential administration as healthy and worthwhile, globally. Well, it's not the first espionage work to end up in political waters. Le Carré's resonant storytelling is strong here, and there may be a shadow of George Smiley watching from a shadowed doorway. For me, this was worth the reading. And I'll read it again -- as soon as I can find a copy that won't suffer from being taken to bed or stuffed in a suitcase! Oline Cogdill at the South Florida Sun-Sentinel gave her list of top mysteries for 2008, in the Dec. 21 issue. Her top 16 are here (and if you'd like to read her annotations for each, click here). I was startled to realize that neither Dave nor I have yet read her top three -- which I guess goes to show how much taste can vary. I've picked off numbers 5, 6, and 11 for my own reading -- plus Carroll O'Connell's Bone by Bone. And William Kent Krueger just arrived in our collection, as a result of my flying visit to Wisconsin last fall. But this isn't the first list I've seen with Jesse Kellerman's THE GENIUS, and I'm going to have to declare a Jesse Kellerman reading weekend later this winter. It's good to know that the world of readers paid careful attention to this poet: W. D. Snodgrass seized the imaginations and pressed fresh rhythms into the blood with his first collection, HEART'S NEEDLE, in 1960. And his most recent work NOT FOR SPECIALISTS received a 2007 nomination for a National Book Award, for which it was a finalist. See the overview of his work at the Poetry Foundation web site. For a heartfelt obituary by Bob Hoover, click here. This month of snow and short days is costing us dearly. The New York Times released online today an obituary for John Mortimer, which I think will be in the "paper" version tomorrow. I'm sorry for the loss of this persistent and clever storyteller of the British bar. Moreover, the defense of civil rights and free speech has lost a staunch advocate. [Addition, 1/17] For the British take on Mortimer's life and on Rumpole of the Bailey, click here. Top Mysteries: What's on Your Latest List? When Maureen Corrigan gave her short list of the top five crime and mystery novels of 2008, Dave and I jumped in delight -- because Dave Zeltserman's SMALL CRIMES, set in Vermont, made the list! Corrigan gave it first place, saying Zeltserman's version of crime noir belongs right up there with James M. Cain. My husband agrees, saying, "When you buy this one, buy at least two copies, because Zeltserman is the modern master of noir." You might notice that the last one isn't a mystery novel, but an homage instead to America's foundational writer of detective fiction. If you don't have time to read all five right away, make sure to tuck SMALL CRIMES into your schedule -- because Zeltserman is coming to Kingdom Books this summer, and you'll want to absorb the story, pull together some friendly questions, and come soak up the gift of time with this gifted writer. I'll toss another list here tomorrow. But Corrigan's list points out the immense change in how Americans are selecting mysteries to read: We've gone global. Some are older treasures just reaching us through long-delayed translation, while others are hot and new. I've already mentioned (and recommended) Leighton Gage's dark passage into Brazil's urban and rain-forest crime waves, BURIED STRANGERS. Just out this month, it's the second in Gage's Chief Inspector Mario de Silva series. His third is well on its way toward publication. Soho Crime brings Gage's work to us, along with Eliot Pattison's Chinese-occupied Tibet series and, as it has for years, the French detective series by Cara Black, featuring Aimée Leduc. Scheduled for release in March 2009 by Black is MURDER IN THE LATIN QUARTER. It's a gem that gives not just Paris and its personalities, but also the hazards and complications of politically based immigration into the city. If the mention of Haiti gives you a shiver of foreboding, you're ready to grab this one. Guilt stirred her. "I had Papa, a childhood, food on the table." She stared at René. "But maybe she didn't. I need to know." "You're reading too much into this, Aimée." He meant she wanted to believe. Maybe a big part of her did. But she had to see proof. Threat, disorientation, and sudden entanglements drag Leduc through the worst side of detective work. Pre-orders are available. During the holiday break I dipped into my first acquaintance with the Dutch writer who's so well known by his surname that that's exactly what's on the cover of his books now: not A. C. Baantjer, but simply BAANTJER. The February release of DeKOK AND THE DEAD HARLEQUIN is the latest in a long string of relatively old-fashioned, but also quite dark, police procedurals set in the lowlands among the dikes and windmills. Inspector DeKok, like many of today's silver foxes, hasn't yet grasped how to do a thorough Internet search -- but he knows how to delegate that labor, and he's patient enough to dig under the surface, find the motivations of the criminals around him, and make sure that when he catches them, something worth prosecuting will be documented. I found Smittenaar's translation to be mildly awkward, but sometimes that actually gives a better sense of cultural difference, marking this book as quintessentially European. 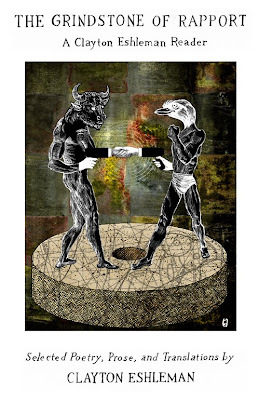 Somewhere in the maelstrom of his memories, DeKok searched for a handhold on this reality. He often prided himself on his inability to think in a straight line. He knew he was able to jump from one subject to another. He also knew he reached conclusions based on instinct and intuition as much as logic. He had confidence and reason, backed by an enormous amount of experience. His eyes followed the little girl's outstretched finger. And the plot is a clever twist on the old "locked room" paradigm: here, an unlocked one, in which a battered body is cleverly arranged to suggest a macabre take on the wooden marionettes known as harlequins. Ironically, before the first death is discovered, DeKok and his partner Vledder receive a visit from an accountant who announces the murder -- but has an alibi that DeKok can't possibly deny. Of course, I can't do a binge of "foreign" mysteries without plunging into the British ones. Later this week I'll survey a good one by John Harvey and the newest John Le Carré. And yes, I've got opinions about SCARPETTA, and have we talked about Peter Spiegelman? His books are irresistible during a "deep recession." But that's enough for today. On Thursday January 8 at 7:30 p.m., the Collected Poets Series presents Art and Poetry in Motion: Jeffrey Levine, prizewinning poet and editor, whose latest collection is Rumor of Cortez, and Patrick Donnelly, author of The Charge, from South Deerfield, will read from their work, along with an art opening by painter Liz Hawkes deNiord. Free. Mocha Maya's Coffee House, 47 Bridge Street, Shelburne Falls, MA 01370, 413-625-6292. Wheelchair accessible. See www.collectedpoets.com or www.mochamayas.com for more information and directions. Jeffrey Levine's first book of poetry, Mortal, Everlasting, won the Transcontinental Poetry Award from Pavement Saw Press in 2001, and his second book, Rumor of Cortez (Red Hen Press, 2005), was nominated for a 2005 LA Times Book Award in Poetry. 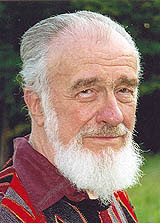 Twelve times nominated for a Pushcart Prize, he has won the Larry Levis Poetry Award from Missouri Review, the James Hearst Poetry Award from North American Review, the Mississippi Review Poetry Prize, the Kestrel Poetry Prize, and most recently, the 2007 American Literary Review and the Ekphrasis Awards. Levine is the Founder, Publisher and Editor-in-Chief of Tupelo Press, an award winning, not-for-profit independent literary press with offices in the Berkshires. Patrick Donnelly's collection of poems is The Charge (Ausable Press, 2003), about which Gregory Orr wrote, “everything he writes is suffused with tenderness and intelligence, lucidity and courage.” He is an Associate Editor at Four Way Books, and has taught writing at Colby College, the Bread Loaf Writers' Conference, and elsewhere. His poems have appeared in The American Poetry Review, The Yale Review, The Virginia Quarterly Review, Ploughshares, Hayden's Ferry Review, Slate Magazine, and many other reviews. With Stephen D. Miller he has translated classical Japanese poetry and drama, and their translations have appeared in numerous literary journals. He lives in South Deerfield, MA. The Collected Poets Series highlights the work of established and emerging poets. Each event showcases the remarkable local poets of Western Massachusetts and the finest regional, national, and international talent. The series is usually held every first Thursday of the month. See www.collectedpoets.com for more info. Huzzah!! Bob and Susan Arnold have prepared a third "volume" of the Longhouse bibliography, now available at their web site -- www.longhousepoetry.com. There's also an entertaining and sometimes poignant photo journal. Worth browsing! This fine Vermont press not only issues gorgeous letterpress work, but also has served as a nerve center for poets and political activism for southeastern Vermont and sometimes for all of New England. Matter of fact, the poetry nerves thread their way around the world. I love seeing the photo of Cid Corman ... and also that of Louise Landes Levi. Kingdom Books -- that is, Dave and I -- discovered with deep sorrow this morning that Donald Westlake died of a heart attack on New Year's Eve while in Mexico on vacation. 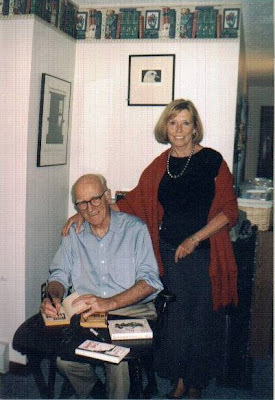 Our condolences extend to his wife Abby Adams Westlake, and to the many good friends of this prolific author, whose humorous and lively mysteries made up the core of so many experiences of New York City detective fiction. Under 22 names, Don Westlake delighted and entertained us and reminded us that even the most hard-bitten criminal can either stumble into a ridiculous situation or lose his heart to an unattainable and kind woman. I'm posting the photo here of Don and Abby at Kingdom Books on August 13, 2006. We'll both be re-reading his books this week, especially the ones written under the nom de plume Richard Stark (Dave's favorites) and the short but evocative series under the name Tucker Coe (Beth's favorites). A comprehensive survey of Eshleman’s poetry, prose poems, essays, and translations. This one volume edition of Eshleman’s works spans some forty years of exploration and writing on themes as varied as ancient cave paintings and the Paleolithic imagination to critical self-analysis, to viewing modern politics through a poet’s eye. Eshleman and his poetry have remained vibrant and varied throughout his long career. A translator of the first rank, winner of a National Book Award and now two Landon Translation Awards (2008 award winner), Grindstone also allows a reader to see and participate in the breadth of Eshleman’s mastery of translation with examples from his works from the French of Aime Cesaire, Michel Deguy, Artaud, and from the Spanish of Cesar Vallejo and Neruda. With over 30 books to date there was a wealth of materials to choose from. N. O. Brown: "The central feature of the human situation is the existence of the unconscious, the existence of a reality of which we are unconscious." Poetry, then, is about the extending of human consciousness, making conscious the unconscious, creating a symbolic consciousness that in its finest moments overcomes all the dualities in which the human world is cruelly and eternally, it seems, enmeshed. This opening essay includes a look at the "democratization of poetry" as found in today's abundance of MFA programs, and Eshleman's blunt evaluation: "This system is now producing thousands of talented but unoriginal writers, most of whom would not be writing at all if it were not for jobs." Ever willing to point to passageways to deeper levels, however, Eshleman proceeds to offer an outline for a responsible avant-garde in poetry and to challenge others to grapple with his image of its most worthwhile aspect: "a form in which the realities of the spirit can be tested by critical intelligence, a form in which the blackness in the heart of man [sic] can be confronted, in which affirmation is only viable when it survives repeated immersions in negation -- in short, a form that can be made responsible for all the poet knows about himself and his world." gigging in his fertilized skirt. 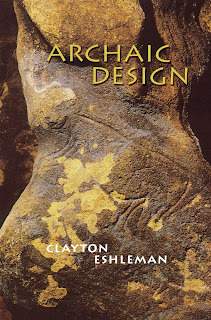 Remarkably, it's possible with yet a third book from Black Widow to become enmeshed in conversation with Eshleman: ARCHAIC DESIGN, published in 2007, is a 342-page bundle of his essays and interviews, both of others and of himself. From his shamanistic experiences in Kyoto, to his fascination with art and its bridge to words, to his engagement with other poets (his translations of César Vallejo have been a lifetime gift to his writing and to our reading), he demonstrates the paths of intricacy and analytic consideration with an open hand and quiet smile of invitation: You don't have to be as well read or brilliant as this poet to walk the paths; you just have to place one foot in front of the next, up the heights or down into the caves, with your eyes open and your heart willing to be surprised, even in its moments of recognition. The final interview in ARCHAIC DESIGN is called "Shadow Matters," and as I read it yet again, I recall a casual summary I've heard of life's contrasting sides: "The darker the shadow, the brighter the light." Eshleman's work aptly uses the interplay of both that inner darkness and its essential blaze of flickering flame. I wish you all three of these volumes, for an enriched and substantial new year.